Have you pushed yourself in 2018? 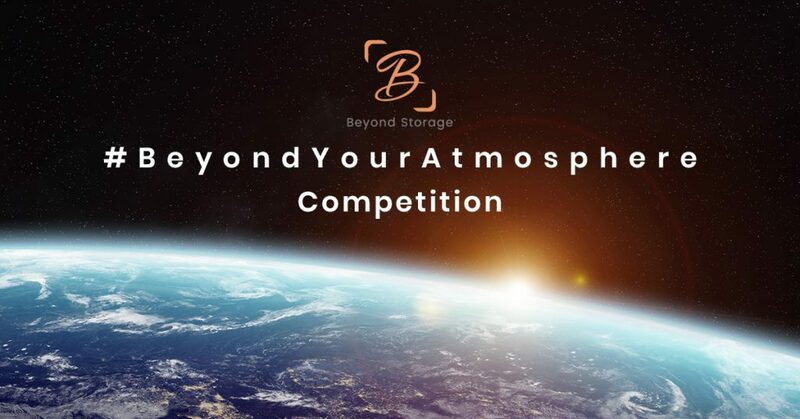 At Beyond Storage, It’s no secret that we love to give people the opportunity go beyond their comfort zone, try something new and make a positive change in their life. So you can only begin to imagine our excitement to announce that, thanks to a recent partnership that begins today, 1 April, we are going to be offering the trip of a lifetime to a member of our community and their plus one! We’re giving away two tickets for a flight that will take you higher than 100,000 feet, to the very edge of our atmosphere. From this point, you’ll be able to see the curvature of the earth and the dark and beckoning expanse that is space… an experience that puts absolutely everything into perspective. All you need to do to enter is tell us why you and your chosen friend, partner or family member want to complete the journey, and why you think you or they deserve it. The foolishly incredible voyage will take place in the spring of 2020 and will last a total of four hours and, for at least half of that time, you’ll be suspended at just over 100,000 feet on the edge of the atmosphere and way #BeyondYourComfortZone. To make this once-in-a-lifetime experience as accessible as possible, we’ve also decided to fund the travel costs to and from our partner’s headquarters with all expenses paid.